It's Not Goodbye, it's "See You Later"
The One Note Stand offered best wishes to the class of 2015 as they graduated in May. 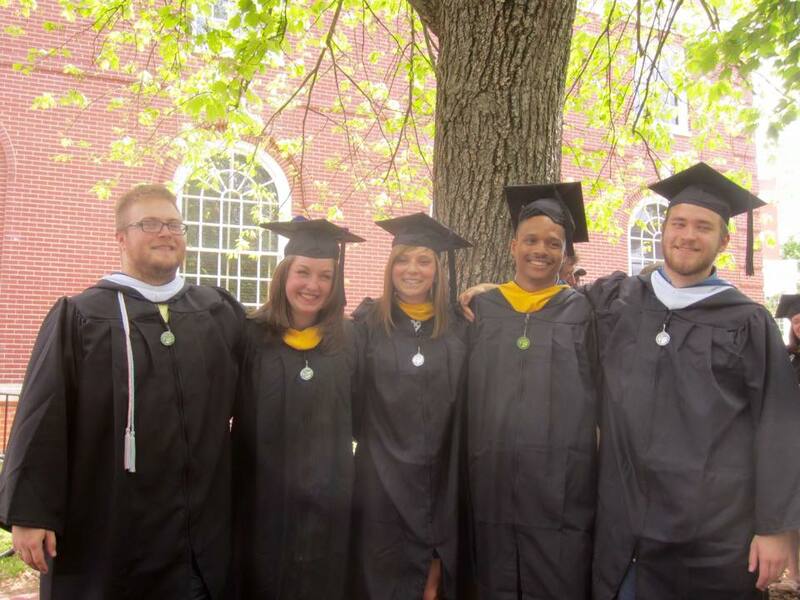 Members Jordan Reece (tenor), Bronwyn Stokes (alto), Megan Defibaugh (soprano), Kalynn Blakely (tenor), and Rob Solka (tenor) walked the stage on May 9th and are off in the real world now, doing all sorts of grown up things. We will miss them dearly, but we know they'll come and visit! Lots of aca-love to the graduating class of 2015! Powered by Newp WordPress Theme. © 2019 The One Note Stand. All Rights Reserved.